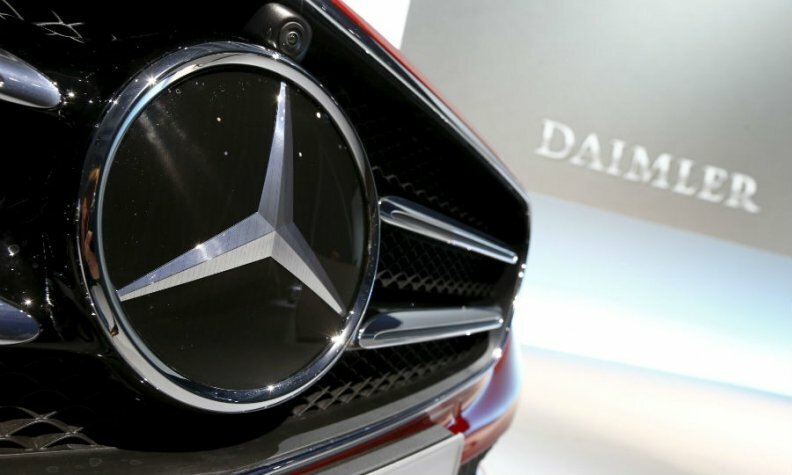 BERLIN/WASHINGTON -- Daimler is recalling more than 1 million Mercedes-Benz cars and SUVs worldwide to address potential unintended airbag deployments. The safety recall covers 495,000 vehicles in the U.S., 400,000 in Britain, 76,000 in Canada and a few hundred thousand in Germany, company officials said. The automaker did not immediately have a complete worldwide total. An electrostatic discharge, coupled with a broken clock spring and insufficient grounding of steering components, can lead to inadvertent deployment of the driver side front airbag in vehicles subject to the recall, the company said on Monday. As part of the fix, it said dealers would add new grounding to the steering components. A Mercedes spokeswoman in the U.S. States said there had been "a handful of instances where drivers suffered minor abrasions or bruises" due to the airbag problem. No deaths have been reported and the issue is not related to the massive recall of Takata airbag inflators worldwide. The recalls covers some 2012-2018 model year A, B, C, and E-class models and CLA, GLA and GLC vehicles.